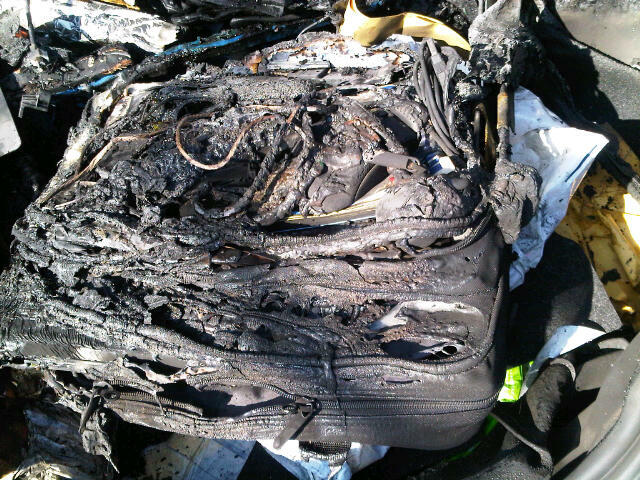 This case study outlines how we recovered from a Fire and water damaged usb memory stick. 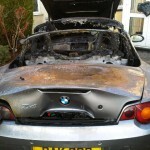 Our client was devistated when he saw his BMW in flames outside his house. This was then followed by panic as he realized that his work bag and laptop was still in his car. 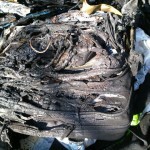 His Laptop was burned very badly in the fire. The USB pen, as you can see from the photographs below, was also very badly damaged. Not only was it burned to a cinder, the water from the fire and rescue teams hose had also affected the damaged usb pen. Our client had some very important documents on his USB pen drive and decided to keep the burned out usb pen drive in a cupboard as he did not know that flash memory data recovery specialists like SaveMyUSB.com actually existed! It was a close friend of our client that recommended our services following a news report that he had seen on the BBC that week. 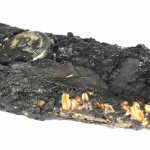 As well as this being a Fire and water damaged usb memory stick, due to the confidencial nature of the documents our client had also encrpted the documents with a password which he had since forgotten as the burned out usb had been sat in a cupboard for a considerable length of time. 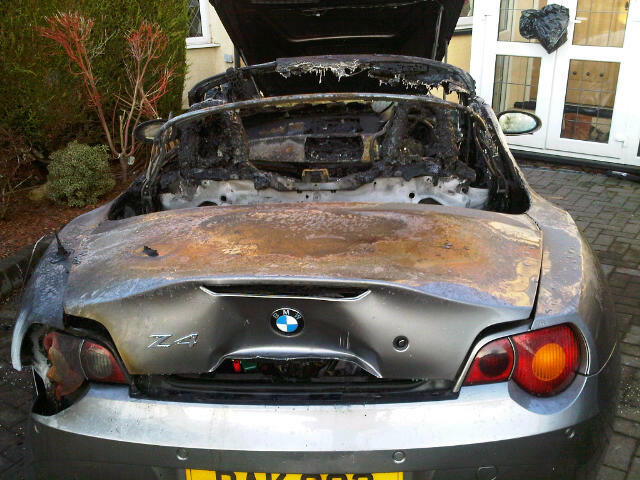 We knew that this Fire and water damaged usb memory stick recovery was going to be a challenge, but as respected flash memory data recovery specialists we have worked with both the police and fire and rescue services on a number of recovery cases, and we were confident that we could recover our clients data for him! 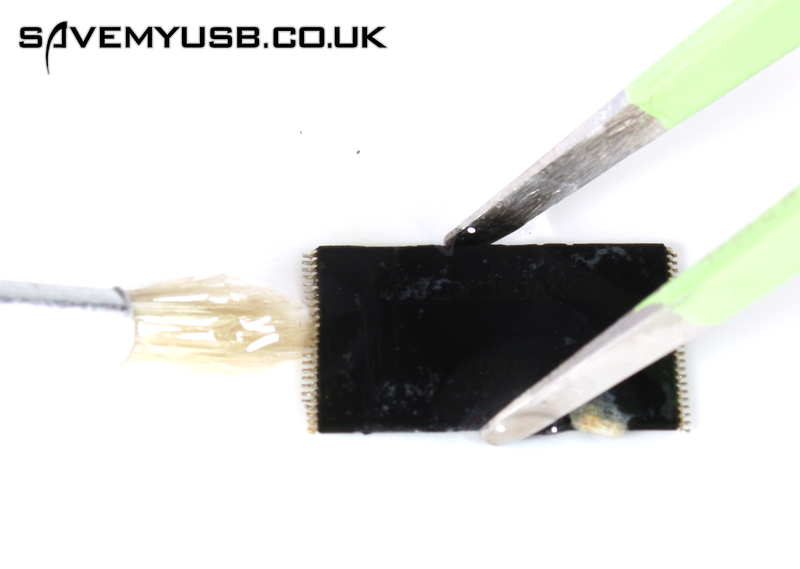 Its hard to spot the damaged memory stick in this photograph but look at the damage to the case that it was in! More Laboratory photos and recovery case notes coming soon! Once removed cleaned and calibrated we can start the complex task of recovering the important data from the flash memory chip.